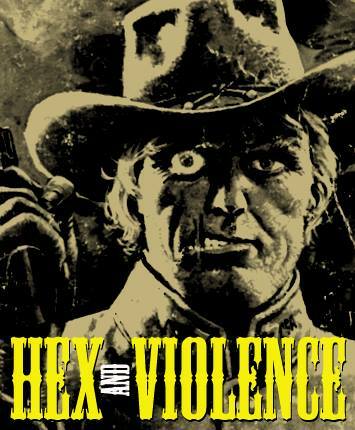 hex and violence | Radio vs. the Martians! 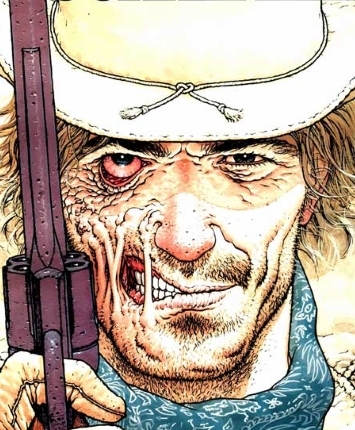 In our second episode, Mike and Casey follow professional badass Jonah Hex into our worst blue state nightmares, and a fictional trope that we never tire of: Murderous hillbillies. 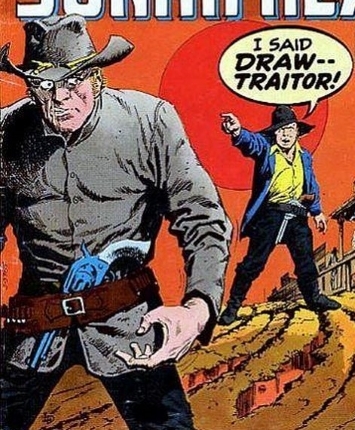 First, we delve into an issue of Hex’s classic series in 1978’s Jonah Hex (vol.1) #12. In a story by Michael Fleisher and Vincente Alcazar, entitled “The Search for ‘Gator Hawes.” Wounded by an alligator during a search for a missing friend in bayou country, Hex is taken captive by a murderous backwoods family and is forced to fight his own friend to survive. 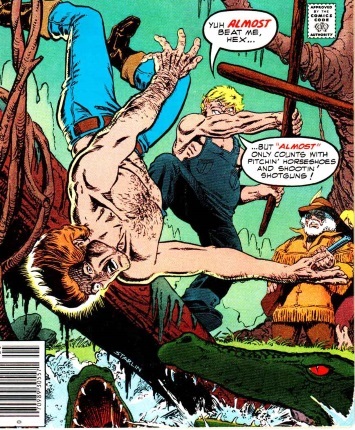 Then it’s back to the Louisiana swamp in 2006’s Jonah Hex (vol.2) #10 by Jimmy Palmiotti, Justin Gray, and Phil Noto, titled, “Gator Bait.” Jonah Hex is hired by a dying man to find rescue his wife and child from the savage Lamont family, killer swamp folk who even local law enforcement is afraid to confront. Escaping capture himself, Hex is wounded, unarmed, and looking for bloody revenge.